In its present state Internet of Things resembles the Sargasso Sea, which has no shores and is formed by four currents, — it does not have any definite boundaries but is conditioned by the major trends that determine where the money will inflow and where the highest returns are expected. According to BI Intelligence, IoT providers are going to invest almost $5 trillion in the years 2016-2021 with certain directions definitely getting a bigger piece of the pie. 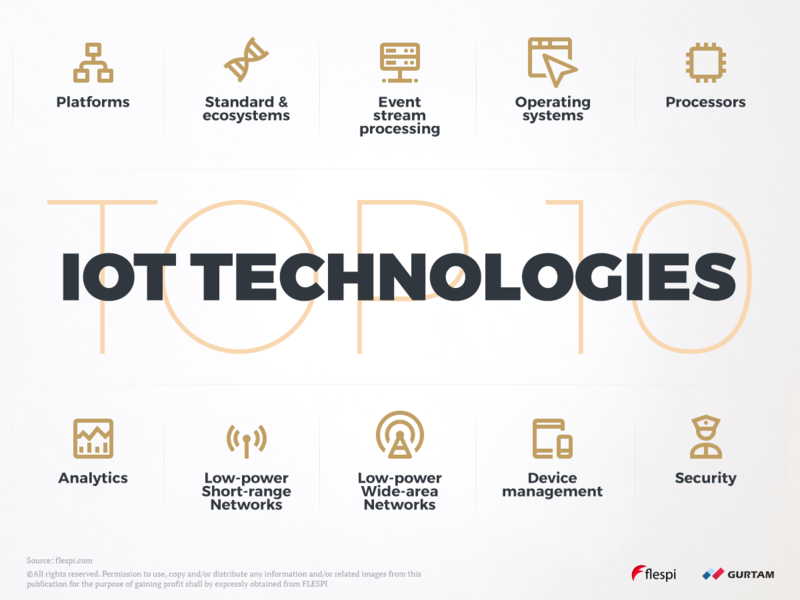 Springboarding from the research by Gartner, we are going to highlight 10 most pressing topics that attract a lot of attention from IoT community and identify where the primary growth areas and pain points of the emerging industry are. Privacy concerns have been a hot topic since the early days of the Internet, with the second wave during the rise of social networks, and the most recent fear factor being the shameless curiosity of the IoT devices. Some people find it exciting, while others are daunted by the shrinking private space where they feel safe and “not watched”. One of the intentions behind penetrating so deep under our skin is to provide more comfortable, convenient, and customized life, where most of one’s needs and wants are foreseen and most errands and chores are facilitated. But more devices mean more connections, and more connections mean more ways to access your data (directly or indirectly) and fewer ways to control them all. And how easy is it to keep calm when your smart gun is hacked? Since most “things” in the IoT world have trimmed processors and operating systems, they cannot take advantage of most advanced security systems and approaches. Development of new ways to ensure safety and security to end users as well as to service providers (and any other third parties involved) is one of the key challenges for the industry. Reliability of security systems and supported security standards is what will define credibility and image of hardware and software manufacturers in the connected environment. most IoT devices are located at the ground zero of the events or actions they track and monitor, therefore the insights become very time-sensitive and may become obsolete in minutes. This means that real-time data analysis is becoming a must promoting development of new algorithms and technologies. on the flip side, end devices lack the processing power needed to handle this type of real-time data manipulations, which forces the analysis to move to an earlier stage — somewhere along the way to an end-device, This, in turn, stimulates the development of smarter gateways and other middleware capable of advanced data processing. new types of devices and new types of data they can track require new algorithms for their more efficient analysis — images, videos, geolocation, physical and chemical measures, human and pet health indices, and many other urge scientists to devise more customized approaches and identify more insightful findings. human potential is critical to driving the evolution of IoT analytics at the pace that the market demands. Quality and quantity of data scientists are equally important since both the complexity and the scope of analytic jobs are growing. However, such trending technologies as machine learning and artificial intelligence may serve as assistants to human analysts and automate many of the time- and resource-consuming processes. All of these smart devices surrounding us, be it a fitness tracker, a sensor in the fuel tank, or a smart home system, require their readings to be stored, analyzed, and shared. Device management software usually takes care of putting the data in the cloud, applying appropriate analytic techniques, generating reports and summaries, alerting of any issues, and ensuring security. Being able to do all of these in real-time, deliver valuable insights, and present results in a handy format are the key criteria for success. Special attention should be paid to mobile-friendliness of the device management solution to enable easy operation on the go. This type of networks provides connectivity between IoT devices within a range of tens to hundreds of meters at relatively low bandwidth. The key requirements of these networks include long battery life (years), high device density (hundreds or even thousands), low deployment and operational costs. In addition to the above, more advanced networks support authentication and security to provide added value and convenience to the users. With the highly fragmented market of IoT equipment, the major challenges include device compatibility, support for multiple protocols and standards, and integration flexibility. 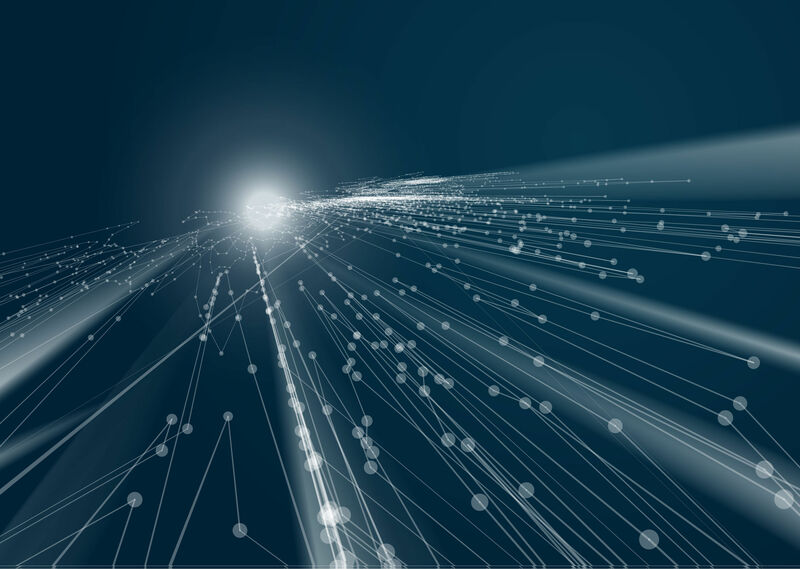 Another type of connectivity required for the scalable IoT infrastructure includes networks capable of transmitting low volumes of data over the distance of up to 15 kilometers. A number of LPWA solutions are competing for customer preference some operating in a non-licensed band and others utilizing cellular network frequencies. Some of the available technologies focus more on certain industries, others aim for the broader appeal. The biggest hurdles for the companies working in the LPWA space include the provision of reliable and secure bidirectional communication, ability to scale across countries, extensive support of multiple device types of different manufacturers, autonomous operation measured in years, flexible manageability, and low maintenance and deployment costs. Balancing all of these factors in an attempt to satisfy extremely diverse needs of various applications (smart meters, smart homes, smart cities, smart grid, smart cars, etc.) is a non-trivial task. As the core of any IoT device, a processor is one of the major determinants in the device choice. Processors frame the scope of features potentially supported by the device thus setting limitations on the range of possible uses. Power consumption, security and encryption, over-the-air firmware upgradeability, the capability to support device management agents, and many other are considered when evaluating device suitability. The choice is often affected by the availability of hardware and software — this is what makes platforms such as Arduino and Raspberry Pi so popular. OS is tightly linked with processor architecture and defines the functionality available on the software level. In some cases the IoT device might not have any operating system and work purely on the hardware level — this is sufficient for simple uses. Otherwise, flexibility, ease of management, choice of development tools, and friendly GUI get better in parallel with the increase in memory footprint and power consumption. The assortment of operating systems on the market will grow to cover new niches and ensure optimal fit into the IoT applications. Picking the right degree of sophistication will require thorough planning and a clear vision of what the future of your business may demand. In an attempt to address the pressing need for real-time processing of thousands (approaching millions) of events flooding the databases with a never-ending flow, distributed stream computing platforms (DSCPs) have been developed. Most such platforms are still immature and undergo the phase of rapid growth trying to be in sync with the current needs and emerging trends. The market is definitely unsaturated, so new players will be joining the game as well. The absence of comprehensive solutions and single standards will make the choice of DSCP quite a challenge. An IoT platform is an aggregation of three major functional areas: low-level device interaction (management, monitoring, communication, security, firmware updates), data manipulation (acquisition, transformation, storing data in the cloud), and high-level processing (event-driven logic, analytics, visualization, adapters to external systems, application development). Platforms are critical to consolidate both incoming and outcoming data streams into a single whole, make sense out of them, and arrive at deliver value for the business. Around 450 IoT platforms are available on the market with suppliers ranging from startups all the way to giants the size of GE, Google, and Bosch. Despite such saturation, most solutions either specialize in specific areas of application (e.g. medical, industrial, etc.) or lack the full stack of features the customers are looking for (e.g. analytic capabilities, connectivity options, etc.). Unification and standardization pose a challenge that IoT should overcome on its way to maturity and ubiquity. Communication between different IoT systems and networks will have the synergetic effect that disparate entities won’t be able to achieve. Although lower level communication standards are pretty well-established (the major ones are MQTT, XMPP, DDS, CoAP), higher level, where the APIs and ecosystems reside, is still fragmented with most solutions developed by large corporations with the support of this vendor’s infrastructure (e.g. Apple's Homekit and Google's Nest). Too many IoT standards pop up contradicting the concept of “standardization” as being something widely agreed upon. As a result, some standards overlap, some compete with each other, some are immature. Certain components of IoT infrastructure are better standardized than others — IoT security is one of those lagging behind with the USA initiating the standardization effort just a few days ago. In the face of uncertainty, organizations will have to evaluate multiple factors when picking which camp they will stick to and how compatibility and interaction with other camps will be ensured (if at all). We have highlighted the central technological trends and challenges in the Internet of Things domain to help you plan further business actions, prioritize projects accordingly, and eventually get ahead of the curve by laying out the strategic roadmap before the competition. Stay with us for more industry insights.